Mass Spectroscopy for Lawyers Part 6: How do they come to a qualitative measure using software? 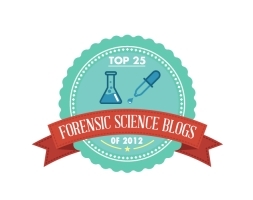 The Week 54 Forensic Science Geek of the Week is Announced! Please visit the www.TheTruthAboutForensicScience.com FaceBook fan page. The week 54″www.TheTruthAboutForensicScience.com Forensic Science Geek of the Week” honors goes to: Charles Sifers, Esquire and Tim Huey, Esquire who combined to make the perfect answer. According to his website: “He is a member in good standing with the Ohio Bar Association. He has been helping people save their licenses and their freedom for over 15 years. He is admitted to practice before both Ohio and the Federal Courts. He spends over 12 hours per month researching the latest cases, legal treatises, scientific literature, and articles on the subject of drunk driving defense allowing him to be on the cutting edge of DUI defense at all times. He has never been disciplined by the State Bar. He is doggedly independent, and believes in challenging everything for his clients’ defense to be successful. Clients come from across Ohio and from other states to retain his services. He focuses on cases in the Columbus, Delaware, Dublin, Grandview Heights, Lancaster, Marble Cliff, Marysville, New Albany, Newark, Upper Arlington and Worthington areas. He is an Ohio Delegate to the National College for DUI Defense. He has been formally trained to administer field sobriety tests including the Horizontal Gaze Nystagmus eye test. He is N.H.T.S.A Certified. 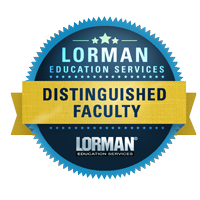 He is a frequent lecturer and author on OHIO DUI law. Congratulations to our Forensic Science Geek of the Week winner! 3. Where can it be used? It’s a tox trap. Used to have independent test for breath. Used mainly on Breathalyzers. Used on Intoxilyer 5000’s in the ’90’s in some states. Used longest by Colorado. Know of no states using them for an independent test today. 1. It is a Toxtrap. 2. The purpose is to capture a portion of a breath sample as it leaves a breath testing device. This one is designed for the Intoxilyzer 5000. It contains silicon gel to which the alcohol will adhere. The contents of the device can then be removed and tested via Gas Chromatography and the amount of EtOH found in that sample can be compared to the breath test result. 3. These devised CAN be used anywhere (in the case of this model – anywhere where an Intoxilyzer 5000 is used) . However the only state to currently set up their instruments to use them (and to require a sample be captured and preserved) is New Hampshire. Week 52: UNCLAIMED, IT COULD BE YOU!